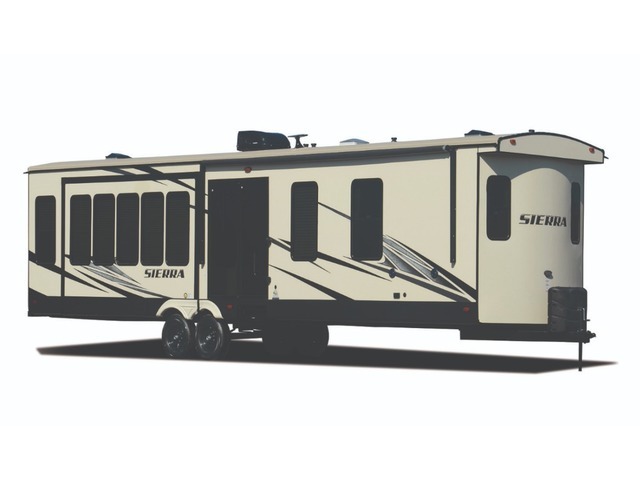 Whether you are staying for a weekend or a single day, the Sierra destination trailers are built with you in mind. With lots of storaget space, and large, open floorplans, you are sure to have a relaxing time no matter where you are. Plus, there is enough room to entertain your entire family and guests. Dry Weight 10,726 lbs Hitch Weight 1,379 lbs Overall Length 41' 6"
Dry Weight 10,998 lbs Hitch Weight 1,619 lbs Overall Length 40' 11"
Dry Weight 10,771 lbs Hitch Weight 1,508 lbs Overall Length 40' 10"
Dry Weight 10,950 lbs Pin Weight 1,268 lbs Overall Length 39' 0"
Dry Weight 10,967 lbs Pin Weight 1,335 lbs Overall Length 41' 4"